Property managers not using an Instagram marketing processes are behind the times when it comes to free social promotion and marketing. Sure, everyone knows and uses Facebook, but Instagram is becoming the better – and more efficient – way to promote vacation properties. Those unfamiliar or new to Instagram won’t find full-length articles found on other social media sites. What you will see are photos and videos – 95 million shared per day to be exact. The social site allows those promoting vacation rentals to showcase the best things about the home and the destination, encouraging others to like the post. 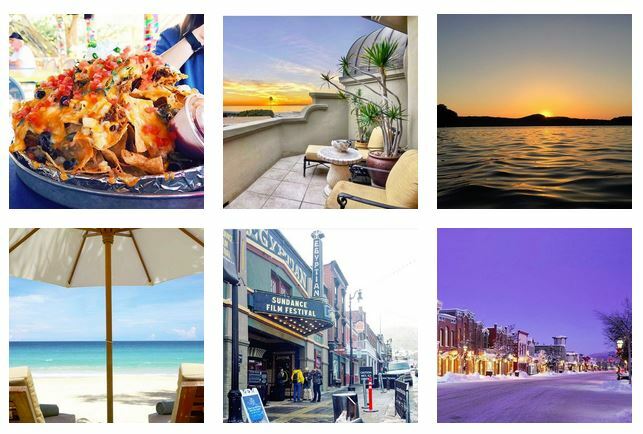 If done correctly, an Instagram marketing process creates a sense of wanderlust. Additionally, if users want to learn more, they will find links in bios driving them to websites, blogs and more content. Instagram doesn’t demand as much user attention as it’s a photo and video feed, and users feel a more personal connection to accounts. This connectivity allows Instagram to show users what they enjoy most through like behavior and algorithms. For example, if a user loves to travel, they will likely follow travel-related accounts, and that’s what Instagram will show in their feed. This differs from Facebook because Facebook often shows what’s most popular or trending, not what caters to the user most. 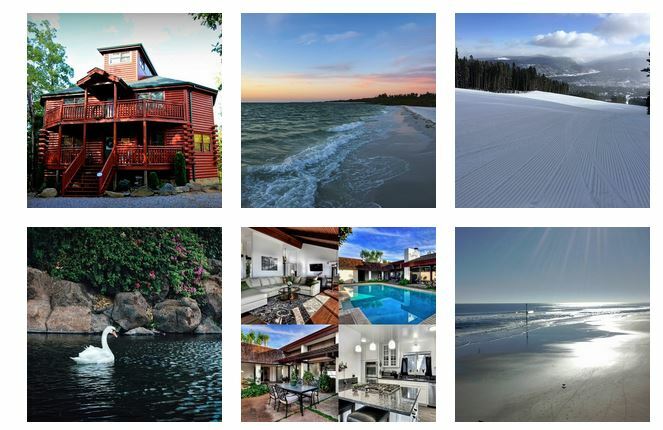 One effective way to promote vacation rentals is to post photos of the rental. Interior and exterior photos show users what the home looks like. The Instagram app allows one photo per post, a layout option that formats more than one photo and a gallery options that includes up to 10 photos per post. Example: One photo can include the rental, area or multiple photos of the interior in one photo. Those who live in the same area of their vacation rentals have an advantage over ones who do not. Those managers and owners have the option to give the area exposure, including noteworthy restaurants, attractions, things to do and more. In-market managers and owners can show users what it’s like to visit the destination itself and showcase the highlights. Consider this: You take the family out to dinner at one of the top seafood spots. Post pictures of the restaurant and food, and say why it’s known as a great spot. Another option includes posting pictures of a signature festival. While posting, think like a guest, be genuine and add a location to capture the full experience. Those who have a blog can also use Instagram marketing to drive traffic to more content through photos and videos. For example, you wrote a blog post about an event. On Instagram, you can post pictures of the event and direct users to your blog by providing a link in your bio or website link. Social media platforms enable companies to build their following and exposure for free. This leads to increased brand awareness, which in turn leads to more business. Instagram provides an easy way for businesses to build their brand while creating and maintaining a more personal approach to building relationships with customers. Instagram users learn to trust companies through social media, and businesses have taken notice. Predictions state that nearly 71 percent of U.S. companies will use Instagram for social media marketing by the end of 2017. Not only is the platform free, but studies also show a whopping 75 percent of Instagram users take action, including visiting a website, and 60 percent learn about a product or service. With this level of interest and action, vacation rental managers not implementing an Instagram marketing strategy will lose bookings, followers and watch other companies build their brands bigger than expected. Pro tip: If you already have a Facebook account, you can link Facebook and Instagram together and post the same photos and videos to both platforms. Many social media users are familiar with hashtags – #TravelTuesday – but many don’t know how they work or why they are important. Hashtags serve as a way of organizing content on social media. When you use a hashtag on Instagram, you can see how many other posts use the same one. Using hashtags allows you to align your business and brand with a tag that more people will see. For example, vacation rental managers can use: #vacationrental, #travel, #familyvacation, #familyfun, #luxury, #<insert destination> and dozens more. Those who own a property management company can also hashtag their name such as #homeaway, #airbnb, #floridavillas, etc. Ideally, when someone is interested in these hashtags, your vacation rental shows up in the search. This adds another way for users to find your rental and learn more about what you offer guests. Pro tip: The more followers on your account, the better the photo and hashtags will rank in search. Another popular way to engage with your audience is to ask them to use a specific hashtag for special offers, Instagram feature photos and other perks.